This showcase is a blast from the past! I have found two more Swamp Thing figures to add to my awesome collection! 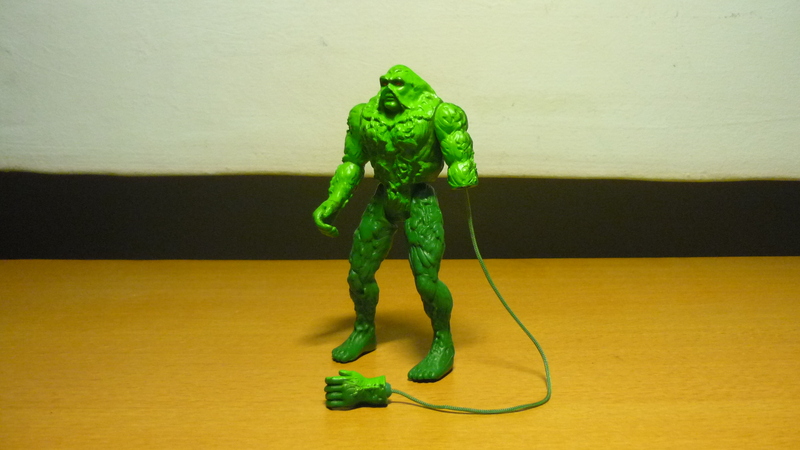 In a recent toy hunt at the local CSC toy flea market, I purchased “Camouflage Swamp Thing”, and “Snare Arm Swamp Thing”. 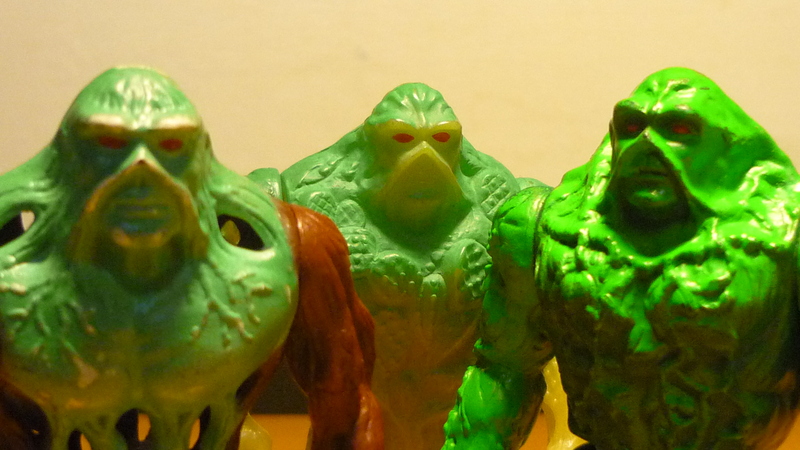 They now join “Bio-Glow Swamp Thing” as part of my toy collection. 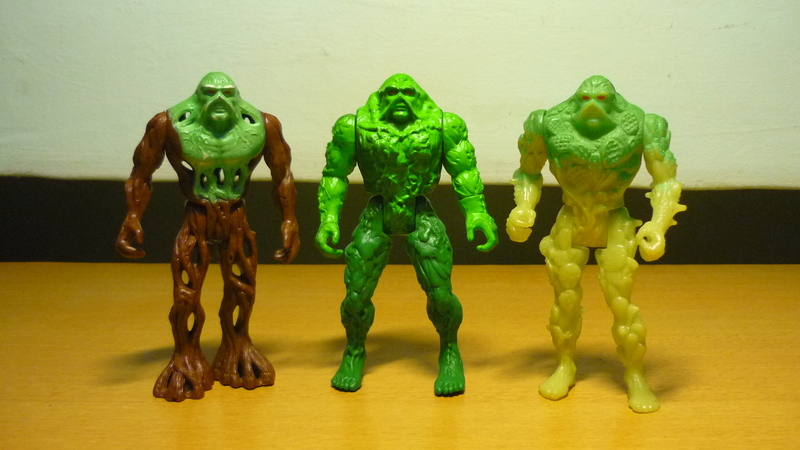 I had earlier acquired “Bio-Glow Swamp Thing” and had showcased him before a while back. All three were bought as loose figures, and their previous owners had lost all the accessories which came with each figure. “Camouflage Swamp Thing” disguises himself as a tree, while “Bio-Glow Swamp Thing” glows in the dark. A mechanism within “Bio-Glow” allows him to swing his arms wildly when his legs are squeezed together. “Snare Arm Swamp Thing” left hand can be pulled out like a vine, and it winches back when the legs are squeezed. Although in the case of my figure, there’s some friction within the shoulder that’s preventing the winch to pull back the hand directly, and to retract the hand I need to pull out the entire left arm instead, pull the vine through till the hand is connected, and then squeeze the legs to winch back the entire arm, which still needs to be twiggled back in at the shoulder. To see the proper way the hand winches back, please click here. At this point I would like to showcase the “Swamp Thing” cartoon VCD that I had bought, for a dollar! 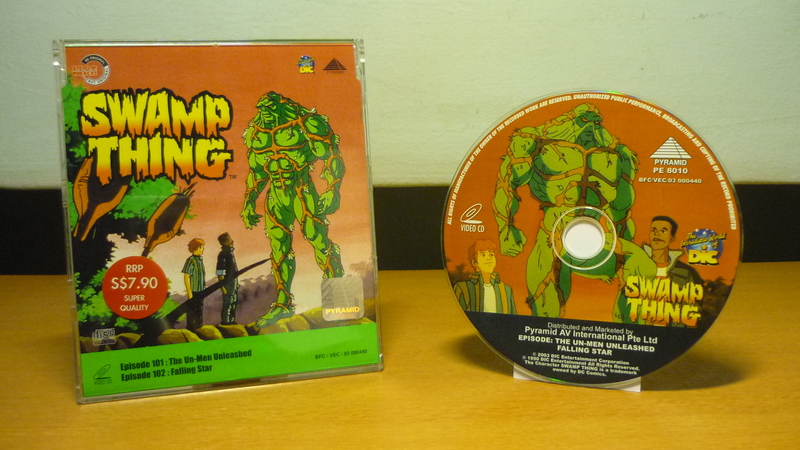 A “Swamp Thing” cartoon VCD, apparently produced in 2003. Even though the label and sleeves lists the episodes “The Un-Men Unleashed” and “Falling Star”, the actual episodes on the VCD are “Experiment in Terror” and “To Live Forever”. 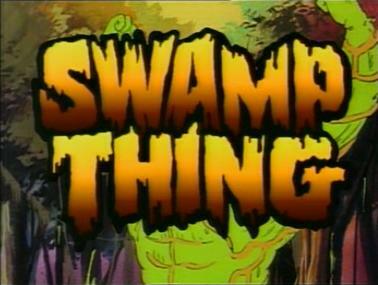 The “Swamp Thing” animated series had a grand total of 5 episodes. In each episode, Swamp Thing and his friends fight against the evil scientist Anton Arcane and his gang of Un-Men, whose evil schemes tended to destroy the environment.